We didn’t just spend the four weeks playing with bandages and rolling about on the floor – although that was a large part of it. 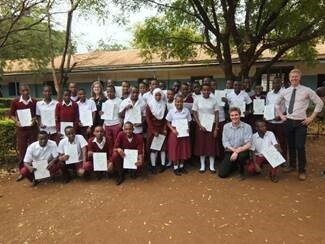 We managed to successfully assess our students and as a team in full we managed to pass hundreds of students from all over the area as trained first aiders, recognised by the Government of Tanzania. The experience highlighted to me the importance of healthcare promotion and global health. 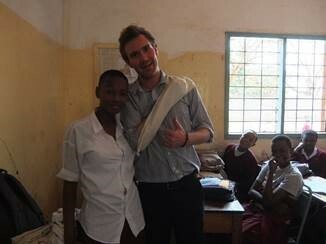 I grew attached to my school in Moshi and I miss teaching the children those skills. In the area they have a large hospital and a few clinics but there are no emergency response teams. No ambulances and no first aiders. This is why our lessons were so important and the students knew this too. Most had been involved with a severe injury at some point in their life, be it burns, car crashes, broken bones, severe bleeds and snake bites. Some of the students who attended our assessments did so well they had to be merited and were given distinctions and were inspire to join the Red Cross, nursing or medical school. In Tanzania I realised that as a nursing student I have a lot of work to do before I can really understand the meaning of health and how to implement successful changes that will one day better our NHS and state of health. This opportunity gave me the inspiration to go further than I thought I could. Therefore, I am now applying for a yearlong post to return to Moshi with First Aid Africa with hopes of moving the charity forward. When I return I will be applying for Masters Degrees in global, public or emergency health and aim to push this to PHD level.